The H3000 Band Delays is derived from the H3000 Band Delay algorithm. The H3000 Band Delay TDM plug-in deploys an extensive function generator for modulation offering 19 waveshapes, as well as MIDI control. Includes all the original Band Delay presets found in the H3000 studio processor. 8 voices of tempo-based filtered delays with pan and volume control. All 8 filters are fully parametric with configurable low/band/high pass or shelving choices and a bandwidth control. 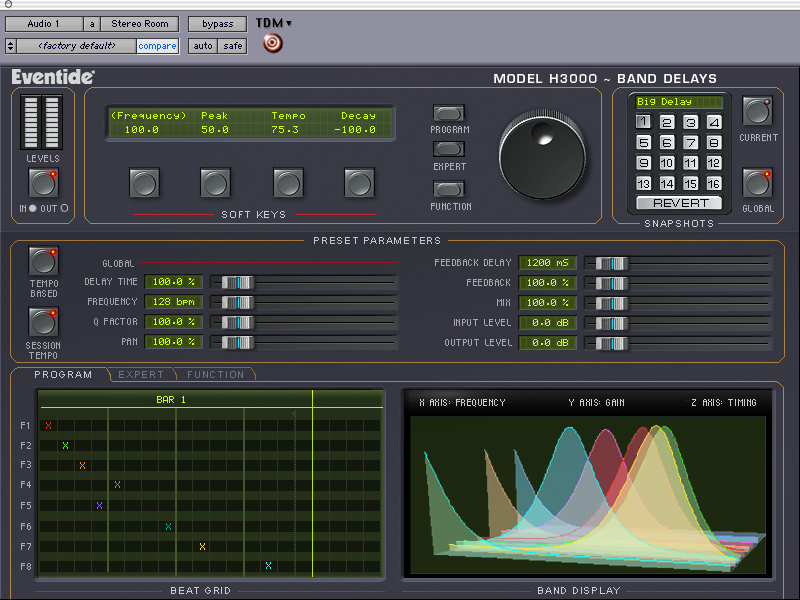 H3000 Band Delays is compatible with TDM ProTools systems only on the following platforms.